The current practice of measuring the inflation rate from fixed base weight index is outdated and likely to overstate inflation substantially compared to the chain weighted index used in developed countries. Similarly, the treatment of house rent allowance revisions to estimate the housing Consumer Price Index also significantly overstates the headline inflation. Economy-wide inflationary expectations also need proper measurement. Inflation-targeting framework without proper measurement of inflation rate can involve very high real costs and make the policy counterproductive. Interstate comparison of fiscal performance requires the use of appropriate concepts and proper measurement of state income, fiscal deficit and debt. GSDP at market prices and a comprehensive concept of debt consistent with the fiscal deficit of a state government are the right concepts to use for the purpose. Neither the rating agencies nor the finance commissions have used the right concepts so far. Illustrative estimates for Gujarat show that this can lead to misleading target setting and wrong perceptions about the fiscal performance of the states. 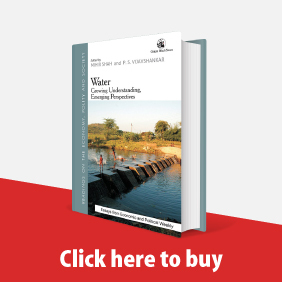 This comment points out an erroneous assumption in the calculations and central argument of Rajakumar and Shetty ("Gross Value Added: Why Not the Double Deflation Method for Estimation?," EPW, 15 August 2015) that reverses almost all their inferences and conclusions. If construction and service input prices are also considered in the construction of the input price deflators, the double deflation method may further raise the manufacturing real income rather than depressing it. Conditions under which single or double deflation can better approximate the Index of Industrial Production growth rate are also discussed. This article discusses some important issues involved in the estimation of state income originating in the registered manufacturing sector with illustrations drawn from Gujarat. It critically discusses the present practices in preparing quick estimates when results from the regular data source of the Annual Survey of Industries have not as yet been fi nalised. 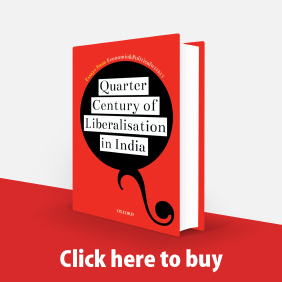 The article points to the serious fl aw of gathering information in ASI without updating regularly the census sector frame at the state level, which results in ignoring new large and medium manufacturing units. The Reserve Bank of India’s monetary policy stance is based on assertions that there is no trade-off between inflation and growth and that disinflation will result in more growth. This note examines recent empirical evidence on the direction of causality for growth and infl ation, and the short-run costs and long-run benefits of a deliberate policy of disinflation. There is no support for the first assertion because a regular trade-off does exist in India, imposing substantial short-run costs for deliberate disinflation. There is strong evidence for causality from growth to inflation, but the reverse cannot be ruled out. Under such conditions, the RBI should hold nominal growth of money supply and allow supply-side policies by the government to bring down inflation. 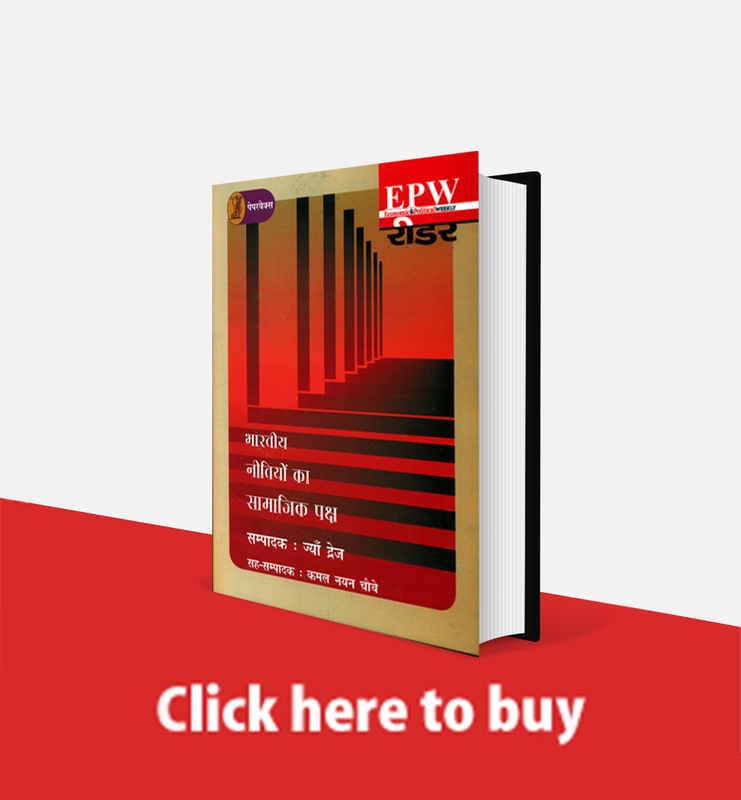 EPW has been publishing a number of articles on the relative economic performance of Gujarat, and on growth and human development in India under the United Progressive Alliance vs the National Democratic Alliance (28 September 2013, 12 April and 19 April 2014). 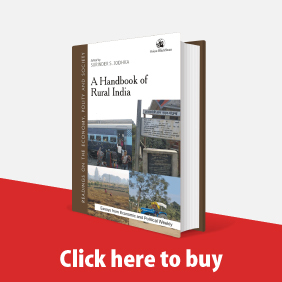 These articles attract critical comment here from Ravindra H Dholakia and Sugata Marjit. Continuing the debate, R Nagaraj, and Maitreesh Ghatak and Sanchari Roy respond to Dholakia, while Ghatak et al respond to Marjit. 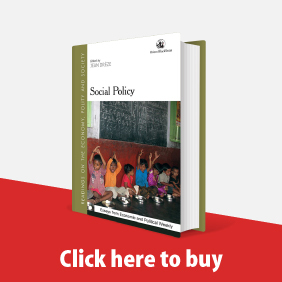 The authors of "Feasibility of Implementation of Right to Education Act" (EPW, 20 June 2009) respond to the critique of their argument by Padma M Sarangapani (EPW, 24 October 2009) and Vimala Ramachandran (EPW, 11 July 2009). This article argues that even an allocation of 6% of the gross domestic product to the education budget would not be sufficient to fund universal school education until the very distant future if the government school system is used as the only instrument. The only way to meet the Right to Education obligation is to rely on low cost private schools as a significant instrument of the government education policy. On the contrary, the proposed rte bill introduces provisions that would oppose low cost private schools. Therefore, the legislation for rte needs to be modified and framed with specific provisions for private-public partnerships.